I hope we will be seeing you this Sunday at our final meeting of the Guild Year. 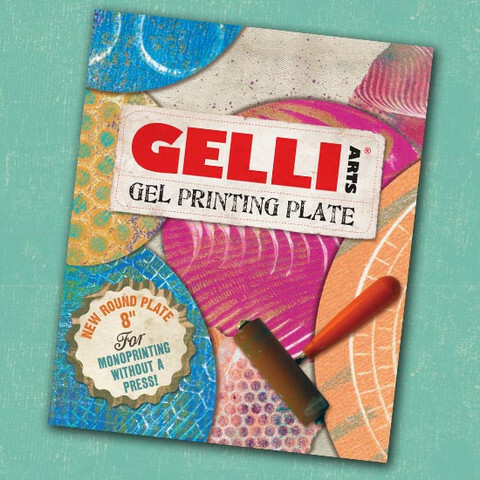 At about 11 AM we will be joined by Lou Ann Gleason from Gelli Arts and she will be demonstrating the new Gelli Arts reusable mat for mono printing. You can see from the website link that this product is excellent for paper arts, but at the meeting, Robin Milne will show us how it can apply to our PC work as well. We will have demo gel plates for you to try out. Bring your usual gear as well as things for surface treatments (glitters, powders, paints inks, etc). We will work with Acrylic paint only on the demo gel plates (for ease of care and cleaning), though if you get your own, you have many more options. The theme for the meeting is Surface Treatments, and we will start off with demos by Ellen Marshall from her book Surface Design in Polymer Clay. This meeting, Sunday May 18 10-4 is open to all – no membership required. Our next meeting will come around quicker than you think next September on the SECOND Sunday of the month. In September we will also be joined by Carol Simmons for a class the weekend after the meeting.